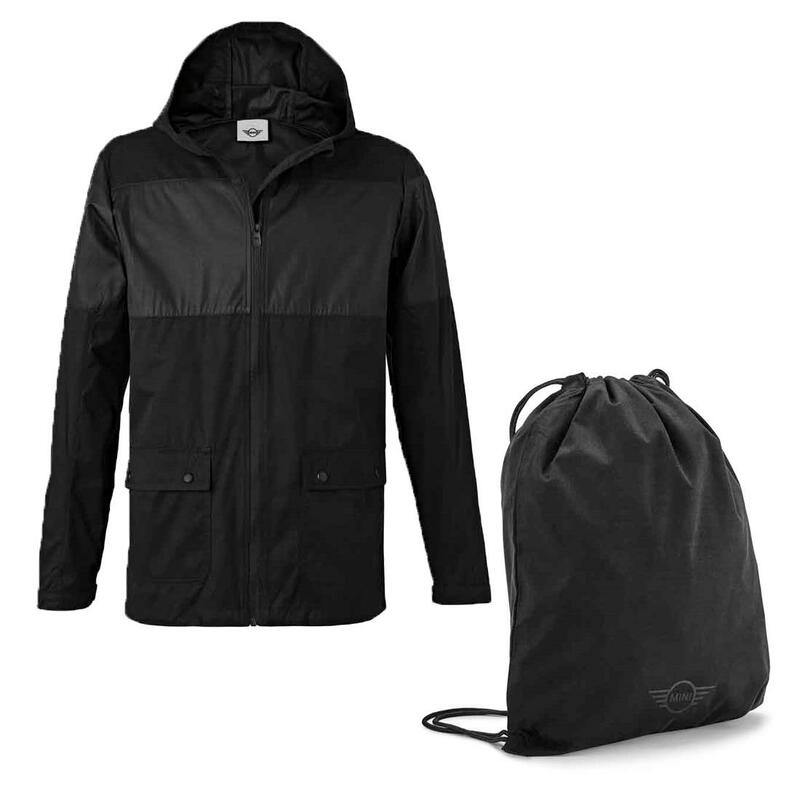 This outdoor jacket is a MINI must-have and features stylish and functional highlights. It is cut for a comfortable, modern fit and has elastic draw strings on hem and hood for an individual fit. Wind and water repellent material – printed with the MINI Wing Logo on the left sleeve - make this jacket a perfect companion for urban outdoor adventures. The jacket comes with a drawstring backpack.